The York House Society was formed in March 1924 from the York House Committee which had been established in October 1922. The purpose of the committee was to persuade Twickenham urban district council to purchase York House for conversion into a town hall. 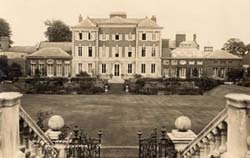 The council faced the prospect of three large houses in the centre of town coming onto the market at the same time�Poulett Lodge, York House, and Richmond House. 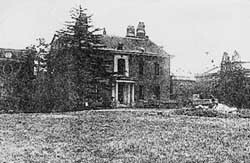 Poulett Lodge was acquired by a property developer; the council purchased both Richmond House and York House. The latter was seen as a more appropriate building for the council if it were to become a municipal borough. The council's petition to the Privy Council for the grant of borough status was submitted in July 1922. The York House Committee was composed of members of the Twickenham branch of the Middle Classes Union who did not trust the ruling party group on the council, the Economy Party. It wanted to accelerate the breakup of the ruling group and to give a better tone to the campaign for a borough charter. The initiative in creating the York House Committee was taken by Noel Viner-Brady (died 1945), a London solicitor. The Economy Party had been formed after the local elections of 1913 from the Twickenham Town Advancement Association. The York House Committee secured the support of a sufficient number of councillors for York House to become a town hall instead of new building on the site of Richmond House. The Committee continued as a Society in order to assist the Council to put York House to its best possible uses. Twickenham became a borough in 1926. 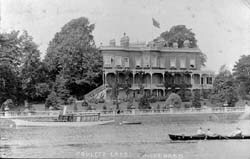 After the demolition of another large house, Orleans House, in March 1926, the Society became more concerned with preserving the amenities of Twickenham. It was responsible for the Radnor House Preservation Society in 1937 and the Embankment Preservation Society in 1939. The York House Society:Twickenham's oldest amenity society, formed in 1922.